One of my favorite times to photograph in La Jolla is when night is just transitioning to dawn. Sunrise is till 45 minutes or an hour away. In December it can be chilly at this hour, but it is also quiet and, usually, still. The only people I see are early morning runners, dog walkers and occasional delivery trucks stopping at the restaurants. Sea lions bark, wave brush over the sand, gulls call and pelicans fly by close overhead. Sunlight was not really even visible to my eye when I took this image, just a hint of blue on the horizon, but my camera was able to record vivid pre-dawn colors with a 30 second exposure. Cheers and thanks for looking! Prints of this image are available here. 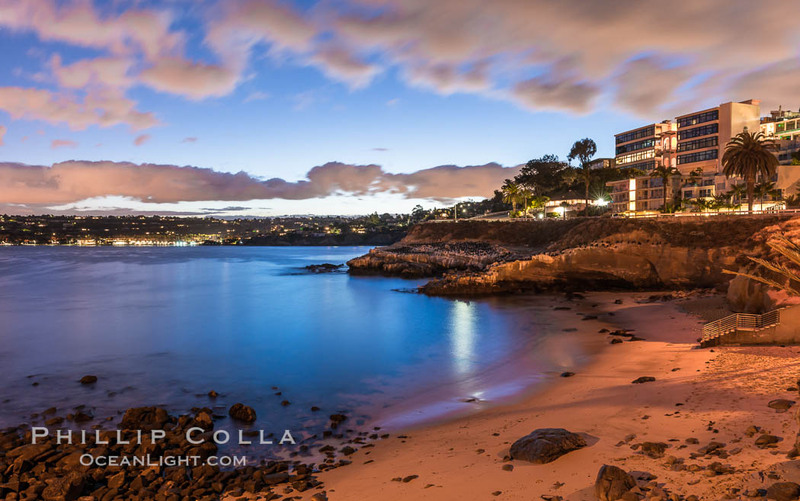 Be sure to see more Photos of La Jolla, California.